Woodpeckers, which primarily inhabit forested areas, are found in every part of the world except in New Zealand, Australia and Madagascar. One particular species called the red-headed woodpecker, has a longitudinal range from the Rockies in North America to the Atlantic Ocean. Among the more than 200 species that have been identified, 21 of these are known to live in the United States. 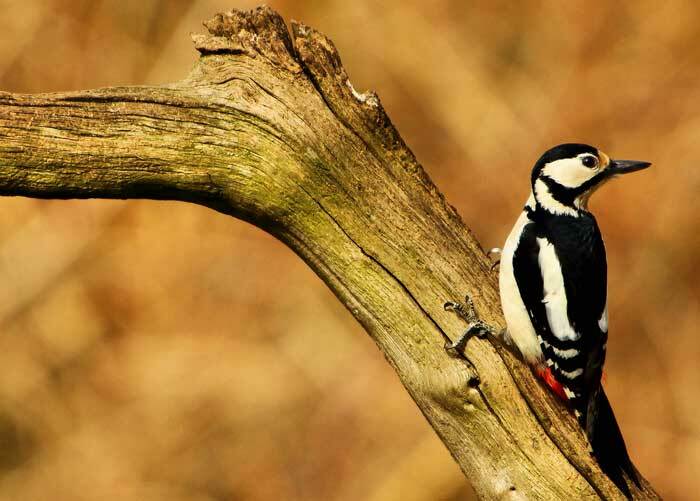 Woodpeckers are arboreal animals that are characterized by their sturdy pointed bills, which they use to bore into wood to hunt for insects or to gather tree sap. Although they mainly rely on trees for food, protection and nesting grounds, some are known to inhabit human populated areas, such as utility posts, wooden enclosures and other manmade structures.